Study Herbal Medicine at Donahies Community School in Dublin. Learn how to use herbal medicines to prevent illness and improve your health. Learn the basics of herbal medicine, including plant identification, what herbs to use for what, how to use herbs safely, how to make home made remedies and more from Tom O’ Brien master herbalist. This is a great course for anyone interested in health, wellbeing and improving their mental health. You can find Tom O’Brien (The Mental Health Herbalist) on Facebook, Instagram & Youtube! 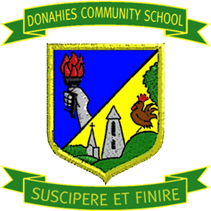 For information about Donahies Community School, please visit our college page on www.nightcourses.com by clicking here.